We’d do anything for our pets to the point of buying any kind of trinket to see them wagging their happy tails. But, the lifetime of a toy for our pups is too short! They fall in love too fast for new toys, but soon they cease to be a novelty and are left aside. In other situations, some dogs are very attached to a particular toy, and they continue to be fond of them even when they are old and shabby. Others play with their new toys only for some time and when they wear, soon lose interest. This is why some of us on a budget tend to depend on homemade dog toys instead of spending money on every new toy for our pet. When creating toys for your dog at home, you should select materials that are resistant to breakage or at least choose something that you know your dog will not ingest (plastic, etc.). 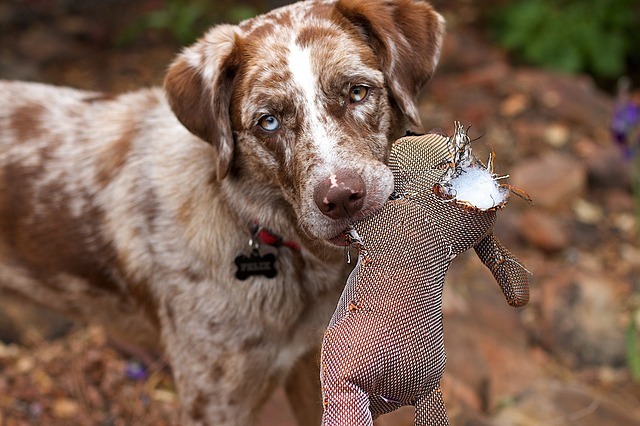 If a piece of toy breaks off when being used by your dog, this can produce cuts, death by suffocation or intestinal obstruction. This will go a long way to avoid any health threats to your dog. For example, many people give plastic bottles to their dogs without proper supervision, and when they play with them for a long time, they tend to give way because of the strength of their teeth, which can cause bruises to their gums. Fit the toy to the size of the animal so that they won’t swallow it. 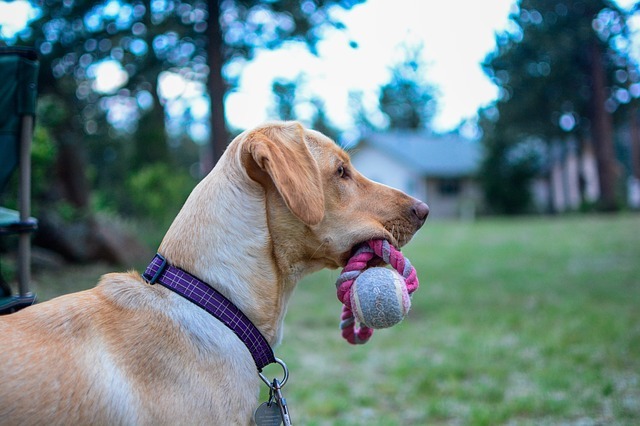 The homemade dog toys we create at home can frighten or overwhelm them, so you should pay attention to your dog’s reactions (especially if he is nervous about the noise) and if it happens, it is best to look for a better option. Give him the ball while he tries to get the treats out! You can make several balls, with different difficulty levels and when you leave your dog alone, you can give him several balls to occupy his attention until your return. Make a knot at the end of one side to make a handle. Now you can play fetch! To make one, use an old T-shirt or two, cut and lock them together. You and your dog can also play tug of war or other games with this. This toy works greatly in keeping your dog from getting bored or even stressed. 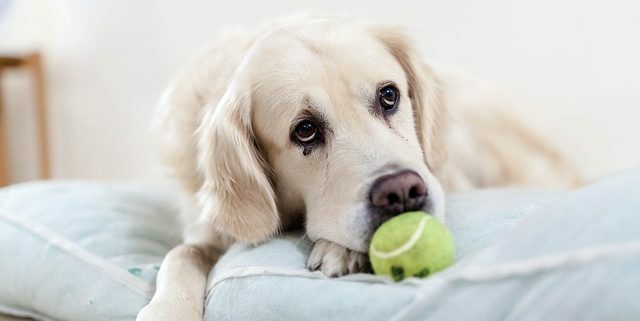 For this, you can cover an old tennis ball with a clean sock, tie the ends firmly and present it to your dog. For additional fun, you can braid it so as to make it a “two in one” toy. In conclusion, chew bones, treats, and toys are essential elements for all dogs to develop properly. 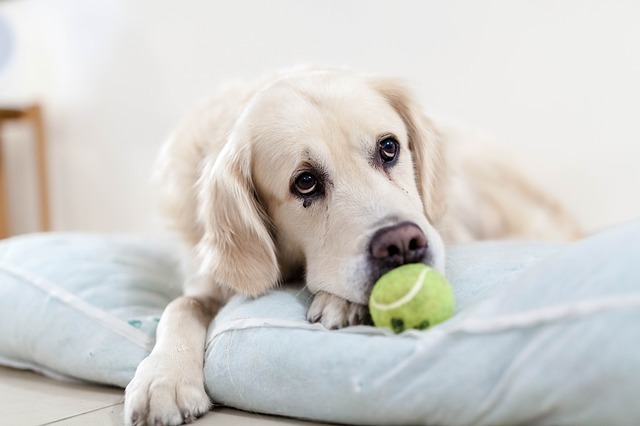 In fact, behavioral problems can develop when dogs have not gone out for walks for an extensive period of time, or when suitable toys are not available to distract them. 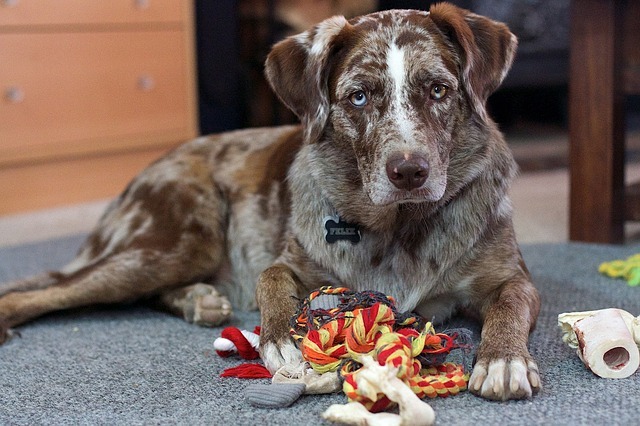 One thing to remember about your dog is that he will not recognize the difference between “buy in store” and “do it at home.” Keeping that in mind, feel free to turn those discarded items into fun toys for you and your dog. Also, for more help as regards to the best dog toys you can make from things around the house, HellowDog is here to help. HellowDog is an excellent place for all dog owners to come to interact with more dog lovers. This also stands as a great destination to find unbiased, genuine reviews of different dog products online.